Is God Still An Englishman? There is one woman whose story has touched me the most in all the years I have been interviewing people; one couple whose immense love has been the greatest privilege to witness. The death of Debbie Purdy has just been announced, and the headlines are calling her a campaigner for the right to die. So she was, even unto death. But I am not thinking of that as I remember the trips to see her in Bradford. I am thinking of her brilliant, tenacious, witty mind and her wicked laugh. 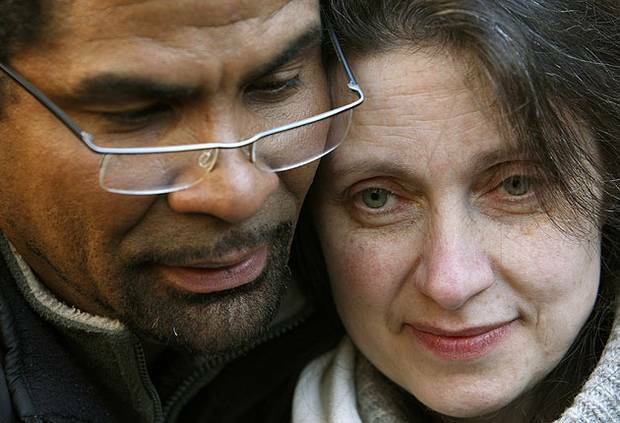 I am thinking of her obvious, undying, immense love for her husband Omar Puente. I am thinking of the music he played me one afternoon upstairs in their house, the mesmerising sound he can make with his violin, the slow unwinding of a Cuban tune and the dedication to her that he showed in his music, in the expression of his soul. I have never seen such love between two adults as I saw between those two. Awesome, sacrificial, practical, tenacious, flirtatious, tender, supportive … the way love should be. They loved to dance, and as she first became ill they did this in the only way they could: with Omar taking the steps across the dance floor and Debbie standing on his feet, being held close. As I understand it, an embassy official who had been on the verge of refusing Omar a visa to come to Britain with Debbie because he did not believe in their love happened to see them dancing in this way. The visa was granted. I am thinking of Omar now, wishing him all the strength he needs to cope with the loss of the love of his life. Here is the first interview I did with them, for the Independent: A Matter Of Love And Death.